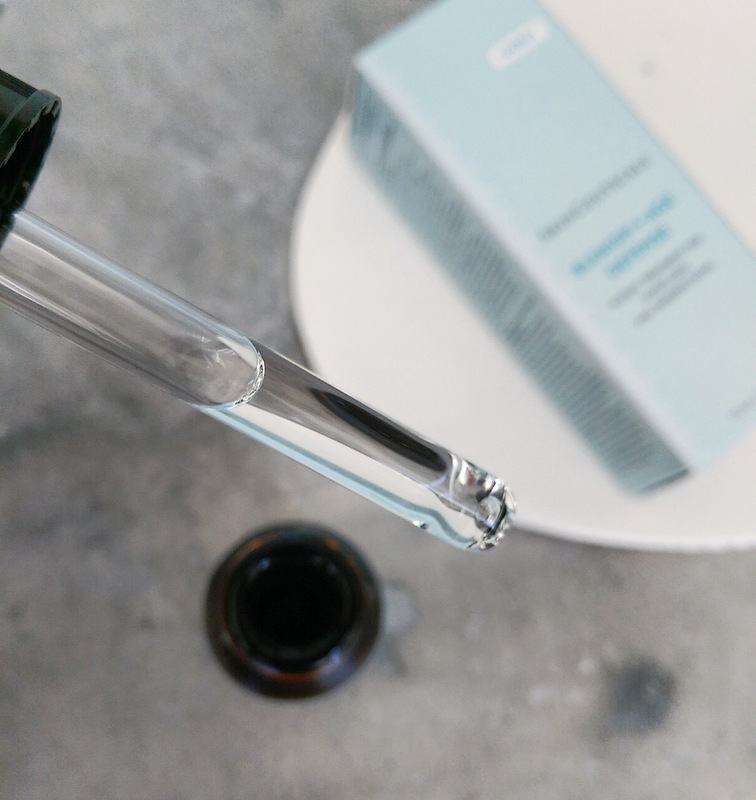 I was recently given Skinceuticals Blemish + Age Defence serum (R1 325, Dermastore) to try and, aside from containing nice concentrations of exfoliating AHA (in the form of glycolic acid) and pore-cleansing salicylic acid, it also includes a very mooi 2% diocic acid. For those who don’t know, this lekker yet little known active does a good job of blitzing bacteria and has skin tone-evening properties to boot. 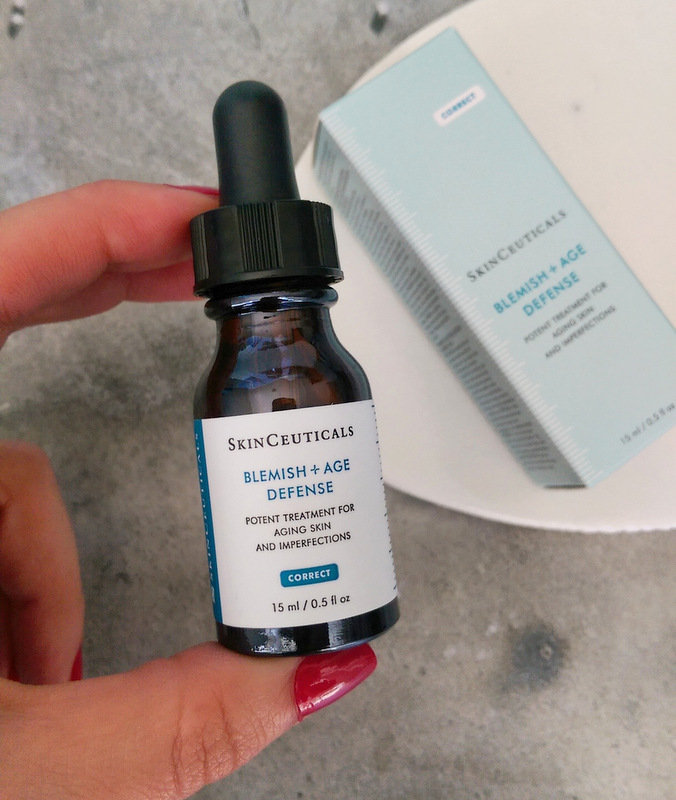 Skinceuticals suggests you apply it to your entire face up to twice a day (under your moisturiser) to prevent and treat blemishes while speeding up the fade of the marks they leave behind. I haven’t been able to do that as it contains a whack of alcohol which my sometimes sensitised skin doesn’t like. However, as a ‘just on the spot’ treatment it’s a powerful, hard-working gem! I had to take a hundred snaps to get this shot ‘cos my stupid phone was having an off day and refused to focus. Aaargh! At just over a grand it’s a pricy little potion but if you’re not on a budget know that it really does work. If money is tight, however, consider something like Innoxa’s Young Solution Wipe Out spot eliminating drops. It’s also an alcohol and salicylic acid mix but doesn’t contain the diocic acid or AHA so you’d have to use another AHA product to pick up on the fading aspect. (I’m a fan of Dermaceutic Light Ceutic with 8% glycolic acid). 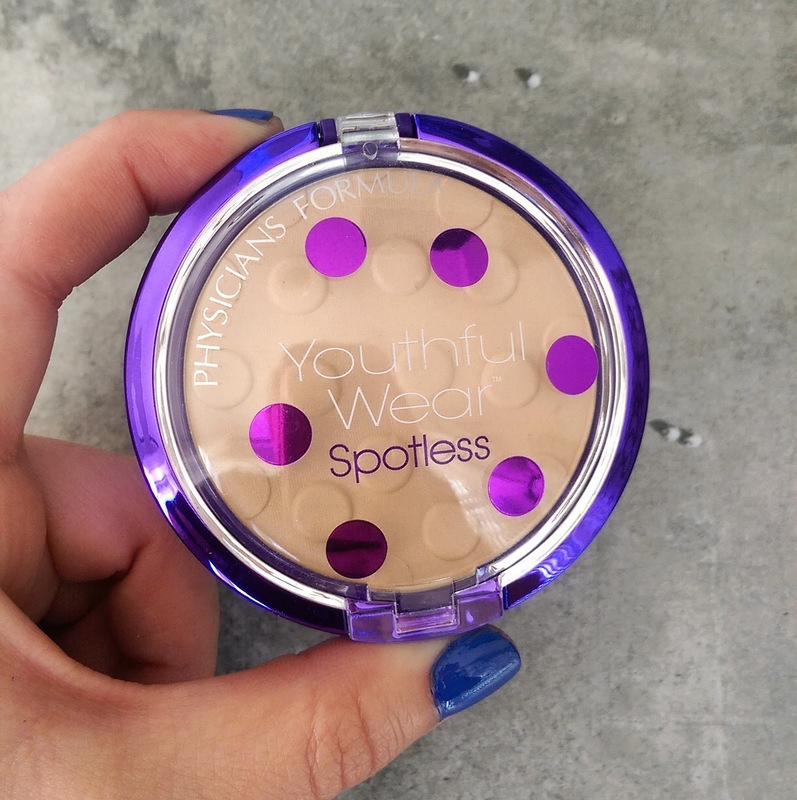 On the subject of spots, let’s chat about Physician’s Formula Youthful Wear Spotless Powder SPF 15 (currently R178,46, Dis-Chem). At first I thought this guy was formulated to help blitz pimples but it turns out it’s aimed at those with pigmentation and a quick look at the ingredients list reveals it contains peony root extract that has proven melanin-inhibiting action. Also, the fact that it contains an SPF 15 will be beneficial too but I wouldn’t rely on the powder alone for sun protection. 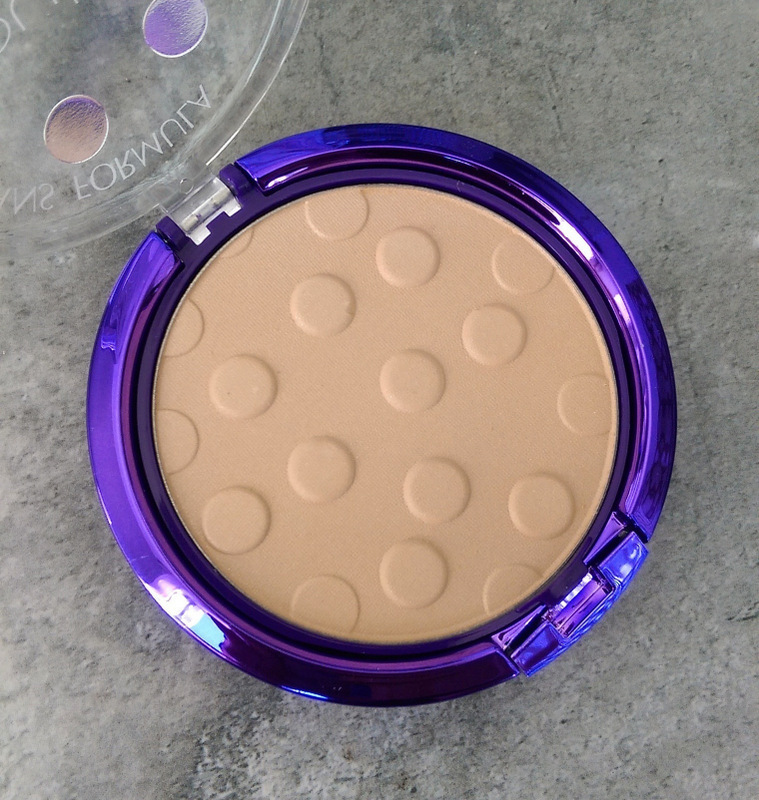 A little brush is included in the base of the compact but just toss it and use a kabuki. Pigmentation-busting aside, Youthful Wear’s merit as a plain old powder is pretty fabulous. I didn’t realise it had a slight shimmer to it until I gave it a closer look and initially worried it would be like slapping a highlighter all over my face (enhance large pores) but, as it’s so finely milled, it results in a lovely light-diffusing effect. I’ve also found it does a good job of helping to control oil and can be applied multiple times throughout the day without building up or oxidizing. Can we get a yay? Also, keep reading for an ‘on face’ piccie. I haaaaate taking them but know you guys appreciate them. Something else I’m really enjoying? 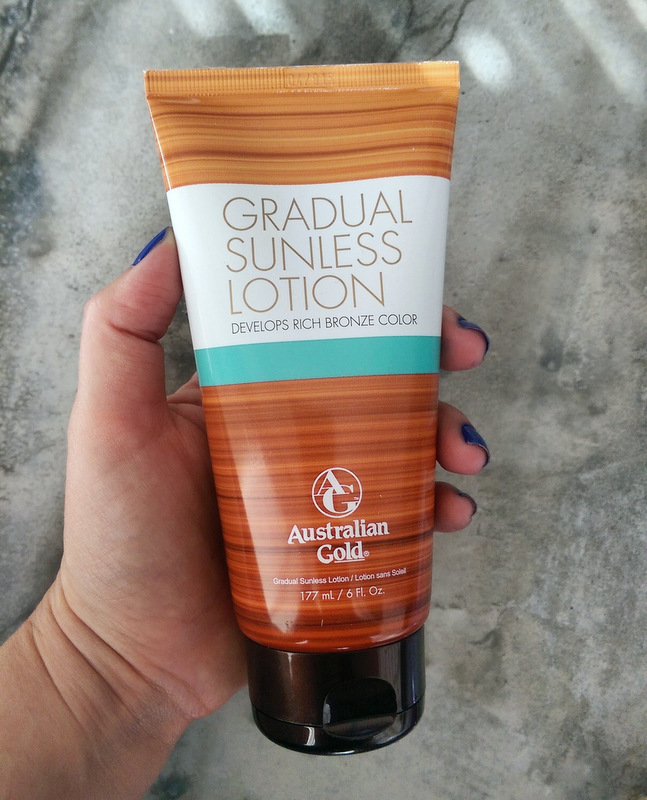 Australian Gold gradual build sunless lotion (R299,95, Clicks). I’ll be watching Clicks’ buy 3 pay for 2 specials like a hawk to stock up on this! When I first slapped this guy on my legs I thought the resultant colour was really natural looking but the teensiest bit too light. (For me, Skinny Tan Mousse and Tan Lab in Dark are still my go to body bronzers.) I was impressed, however, with how even-looking it was as well as how naturally it faded. So, I took the plunge and applied it to my face with fantastic results. I look weird without eye shadow, right? 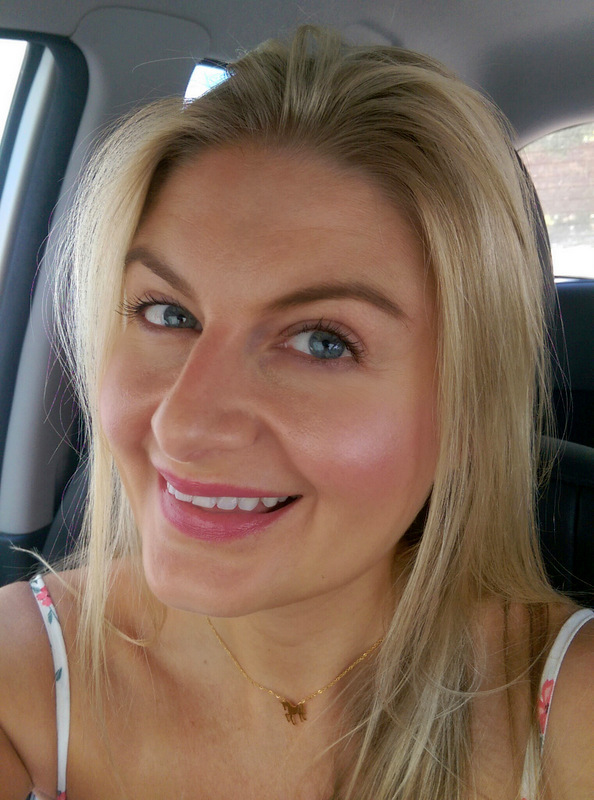 If you’re looking for an awesome facial self tanner Australian Gold has got your back! Also, if you like a more subtle self-tan on your bod it’s a top pick because, like I said, it goes on easily and the fades beautifully. Application is easy too as the gel-like formula has lots of slip to it. Using a mitt is ideal but if you use your hands you’ll find it’s got a lot of ‘glide’ so covering large areas is super easy. I also like that the formula’s very hydrating thanks to a mix of antioxidant-rich botanical oils and Shea butter. It also dries in a flash so you could easily slap it on and slip into your clothes. Another plus? It doesn’t smell bad while it develops so you can apply it in the morning and then carry on with your day. There’s no need to hide around at home wearing baggy, dark-coloured rags. Totally keen to try out that Australian Gold and see how it works for me. I’m so pasty right now, and applying my Loving Tan is great but it gives a deep bronze look, and when it’s faded you can tell how pale my pasty skin actually is. Great for an event but not every day! This might be an everyday, weekly alternative! You’ll love it! I’m so impressed! You can actually slap it on in the morning, put make-up on over it and by lunch time you’re a bronzed goddess. The fact that it’s hydrating but not greasy is suuuch a plus! Leigh, hi! *smiles and waves* Is AHA for people who get pimples? What benefit would it have for someone like me who has dehydrated/sensitive skin? You have mentioned that AHA is an exfoliant, but if one uses AHA does than then replace your exfoliant like Dermalogica? Oh and is BHA also only for people with acne? Please, can you give some clarity? AHAs are great chemical exfoliants and help lighten the look of pigmentation but if you’re dry and sensitive you might find it irritating. A physical exfoliant like Dermalogica’s Superfoliant etc will help exfoliate but it won’t lighten pigmentation. Thus, I use both to get the best of both worlds. As far as BHA goes, it isn’t only for people with acne, it’s for anyone who wants to keep their pores clean and clear. But if you don’t battle with blackheads etc then it doesn’t have to be a priority. Ag Leigh, you know you are the bomb ,right! Thanks so much for educating us on this stuff. Thanks for your wisdom on this, appreciate you and your honest reviews and for often adding cheaper alternatives for those of us who are not Rockefellers! Mwah! Oh PS: you mentioned on your Instagram you were going to do a post about a Body Shop exfoliant much like Dermalogica. Have you done is as I just want to make sure I did not miss anything? I’m hoping to get the post out next week but things are pretty crazy this side. But the short answer is that it’s fabulous.